Manchioneal, Portland, December 10, 2018. 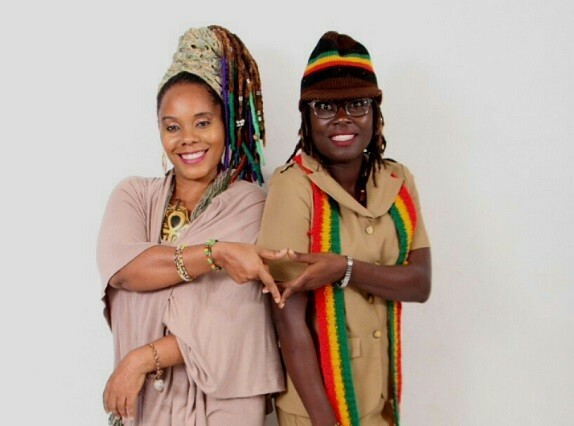 Mama Africa Arise & Unite, a community development program and cultural showcase was recently staged on November 24, 2018 at Di Atlantic Entertainment Centre in Manchioneal, Portland, Jamaica. The Theme, “One Perfect Love” forms the foundation of its mission to facilitate community development and empower communities, with a special focus on youth and girls. 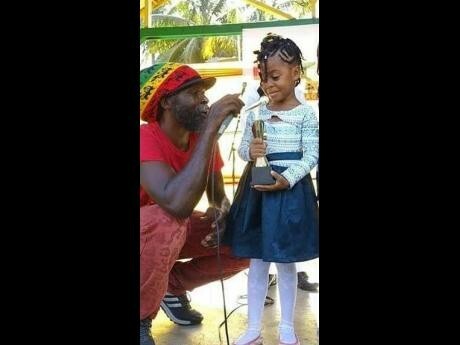 On hand were community persons, eager number of students from local all age schools, musicians, members of Rastafari houses and visitors bringing greetings from St. Thomas, St. Ann, Kensington, Kingston and surrounding environs. Brother Heru Ishakamusa Menelik JP, High Commissioner UNIA & ACL President Division 439 and President for Marcus Garvey People's Political Party gave a passionate speech and history on Marcus Garvey while Jerry Smalls, Social Historian, captured the event on video. The professional delivery of the programme was noted by Mr. Cordinal Beckford, Special Assistant, to Dr. Fenton Ferguson, Member of Parliament and Opposition Spokesman on Agriculture, Land & Rural Development. MONTEGO BAY, Jamaica, Sunday, December 9, 2018: Jamaica’s first regulated casino should be up and running by the start of 2020 but Jamaica will not be a casino destination. 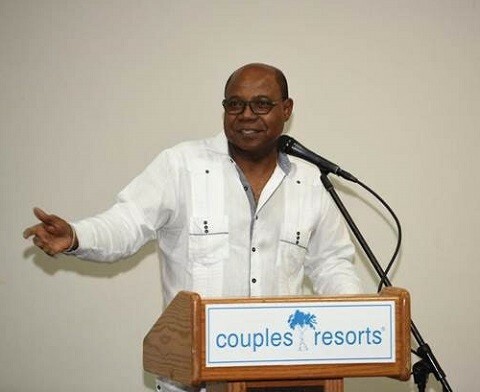 This was disclosed Friday (December 7) by Minister of Tourism, Hon Edmund Bartlett as he wrapped up remarks at a seminar on Hospitality Industry and Casino Operator’s Guide to Managing U.S. Liability Issues from the Caribbean, at Sandals Montego Bay. 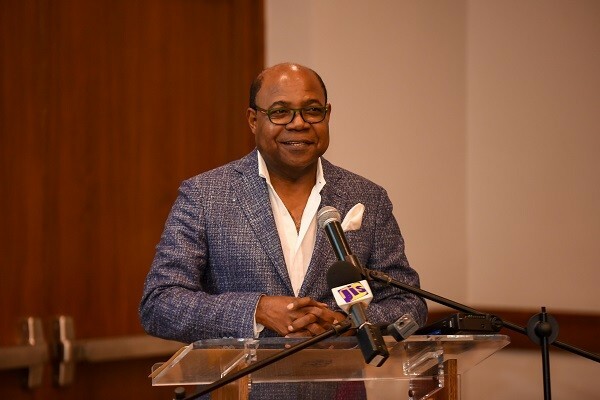 While not giving details on the first casino, Mr. Bartlett spoke of the contribution casino gaming is expected to make to the Jamaican economy as an addition to the tourism product, providing 2 percent to GDP growth. “We have shied away from gaming as a structured path of the tourism experience for a long time for a number of reasons, one of which has been the experiences that we have looked at in other places and we have seen some of the attendant negatives and we question very much whether or not we would be able ourselves to manage and be able to deal with the negative impact of it,” said Minister Bartlett. 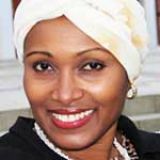 Jamaica Tourism Minister Hon. 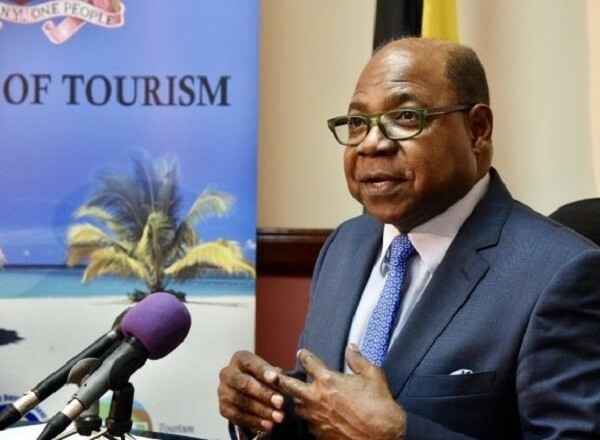 Edmund Bartlett says Jamaica is keen to strengthen tourism relations with the United Arab Emirates (UAE) following the inaugural UAE-Caribbean Cooperation Forum 2018, which was recently held in Dubai. The inaugural UAE-Caribbean Cooperation Forum provided a unique opportunity for senior business representatives, government leaders and other high-profile delegates to identify emerging drivers for joint opportunities and collaboration between the United Arab Emirates (UAE) and the Caribbean. There was a specific focus on investment opportunities within the Caribbean region’s energy, infrastructure, agriculture, information technology and tourism sectors. ABU DHABI, United Arab Emirates; November 26, 2018: Tourism Minister, Hon Edmund Bartlett has announced that Haitham Mattar, Chief Executive Director of the Ras Al Khaimah Tourism Development Authority of the United Arab Emirates (UAE), has been appointed regional coordinator of the Global Tourism Resilience and Crisis Management Centre. 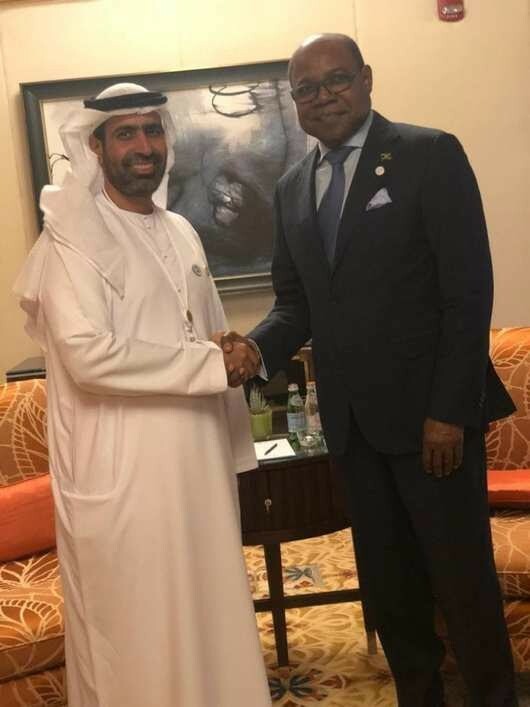 The announcement is an important outcome following Minister Bartlett’s attendance at the just concluded inaugural UAE-Caribbean Cooperation Forum 2018 held in Dubai. “Mr. Mattar’s focus will cover the emirates and middle east region. He brings a lot of experience in tourism organization and management within this area and is enormously respected as a major player. “We are excited about bringing him on board in this capacity and the UAE, which is now an affiliate region, will join the Mediterranean region, as well as the Mauritius and Nepal areas as the coordinating bodies that will be affiliated with the Centre,” said Minister Bartlett. Minister of Tourism, Hon Edmund Bartlett (L) paused for a photo with Carissa Leitner, Account Manager of Simple View, the company that developed the new JTB website, and Trudy Chin, Acting General Manager for Caribbean Airlines. 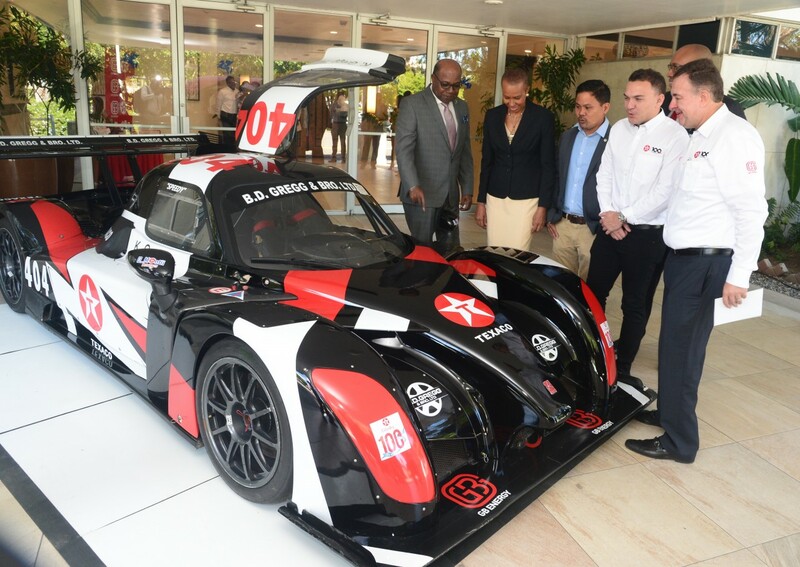 The occasion was the official launch of the JTB’s new website at the ATL Automotive in Kingston yesterday. Tourism Minister, Hon. 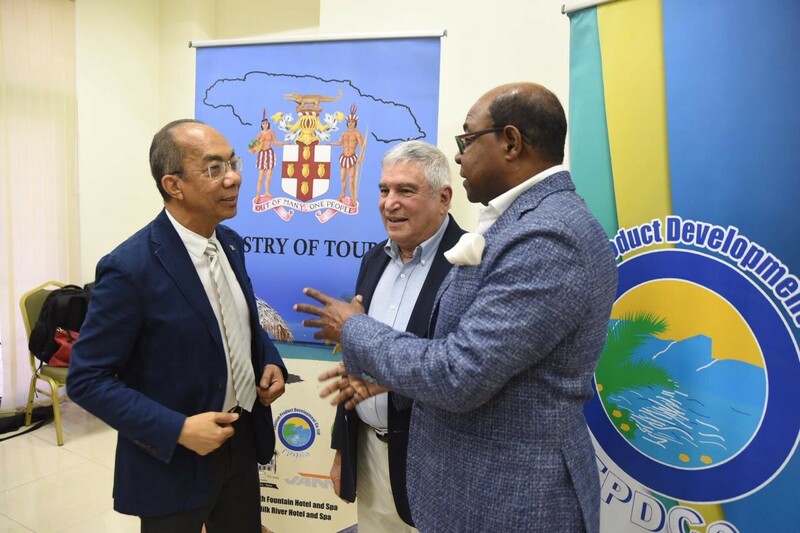 Edmund Bartlett, on November 14 officially launched the Jamaica Tourist Board’s (JTB) new and fully integrated website which will transform its marketing strategies. 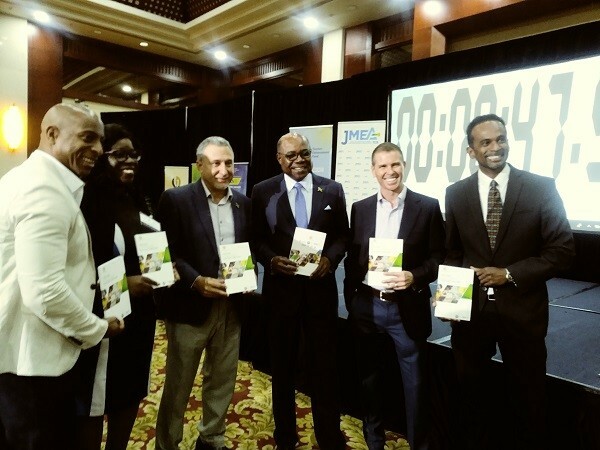 The website forms part of the JTB’s overall strategy to compete in the ever- changing global marketplace as well as plans by the management to revolutionize its methods of marketing and promoting Jamaica as a destination. Minister of Tourism, Hon. 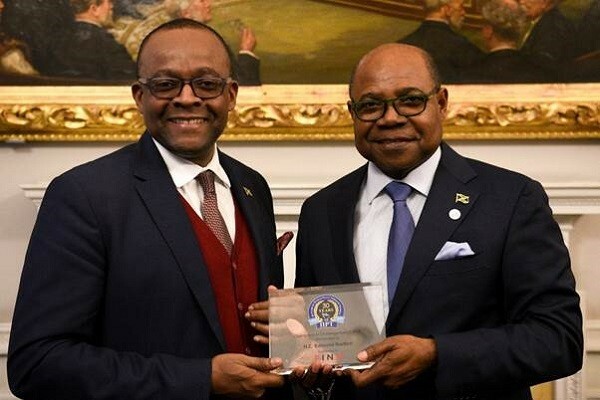 Edmund Bartlett (right) pauses for a photograph with Director of Tourism, Donovan White shortly after receiving the International Institute for Peace through Tourism (IIPT) Champions in Challenge Award. The occasion is the International Institute for Peace Through Tourism (IIPT) Champions in Challenge Awards during the International Travel Crisis Management Summit (ITCMS) conference in London on Thursday November 08, 2018. 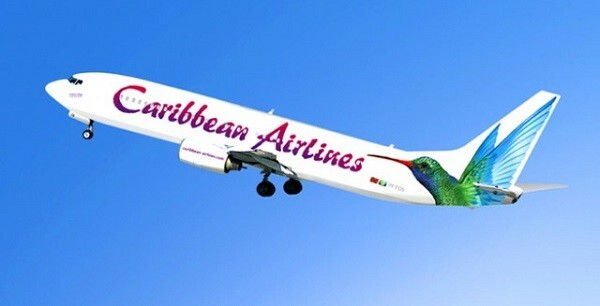 Caribbean Airlines reported a summary of its unaudited financial results, for the nine months ended September 30, 2018, which show the airline has moved into an operating profit and is net income positive for the year-to-date. The airline’s total net income of TT$48m is comprised of TT$83m on international and other operations and a loss of TT$35m on the air bridge. Year-to-date total revenues showed a 15% year-on-year improvement of TT$291M. Fuel of TT$450.4M was a major expenditure for the same period, compared to TT$345.5M in 2017 resulting in a year-on-year increase of TT$104.9M. Caribbean Airlines’ improved performance has been achieved despite the aforementioned losses on the air bridge which continue to occur. Since 2005, the adult fare on the air bridge has been fixed at $150 one way, irrespective of rising fuel costs, for which the airline receives no subsidy. The actual breakeven fare on the air bridge is $300 one-way. Of that sum, the passenger currently pays $150, the Government subsidy to the adult passenger only is $50 (children receive no subsidy from the Government) and Caribbean Airlines absorbs the loss for the remaining $100 or $150 depending on if the passenger is a child but occupying a seat. 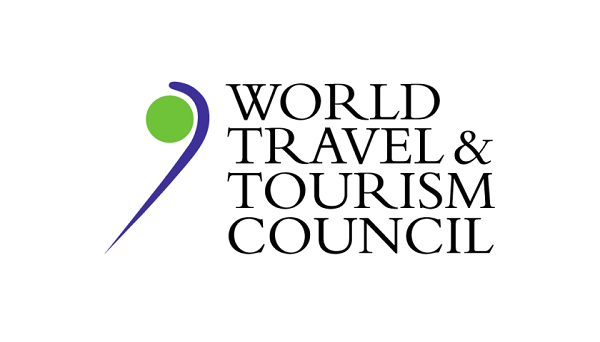 The World Travel & Tourism Council 2019 Global Summit with the theme of ‘Changemakers’ will take place in Seville, Spain, on 3-4 April and will be hosted by Ayuntamiento of Seville, Turismo Andaluz and Turespaña. This marks the first time that WTTC is extending the invitation to attend the Global Summit to a wider group of senior industry professionals, with the aim of gathering and celebrating the people and ideas who are defining the future of the sector. The Travel & Tourism leaders will celebrate the 500th anniversary of the departure of the first circumnavigation of the world, which set out from Seville, while shaping the future of our sector.This will be the first Global Summit to which industry professionals and people interested to hear from the leaders will be able to attend by paying a recovery fee. Until now, the Summit has been by invitation only, encompassing WTTC members and travel leaders. 2019 thus marks the first year that a limited number of guests from across the sector will be able to join. “At our last summit in Buenos Aires we had more than 1,300 delegates with more than 100 CEOs, the President of Argentina, the Prime Minister of Rwanda, more than 30 ministers or heads of tourism, three former presidents, three United Nations’ Secretaries General (UNWTO, UNFCCC and ICAO) as well as leaders from PATA, IATA, WEF, CLIA, and even one Academy Award winning film director. 2019 provides a new opportunity for industry peers to attend and gain inspiration from our ‘Changemakers’, outlining a future vision of Travel & Tourism with the pioneering individuals and disruptive ideas that will make it happen', the president said. Tourism Minister Edmund Bartlett has hailed the People’s Republic of Russia as a new frontier from which visitors to the Caribbean can be attracted. Speaking at the welcome reception for the Russian Pegas Fly Airline which made its inaugural trip to Jamaica recently, Mr Bartlett said Jamaica has a great advantage as Russia happens to be the fourth largest market source for visitors to the Dominican Republic, with which Jamaica has established a multi-destination Memorandum of Understanding. Pegas Fly will take approximately 5,400 new tourists to Jamaica’s shores up to May 2019 with flights terminating in Jamaica every 10 days. According to Minister Bartlett, this, along with the multi-destination arrangement, will afford Jamaica access to the growing market of Russian millennial travelers whom he says, have a very high purchasing power. Minister Bartlett was also speaking in light of the recent abolition of visitor visas for certain categories of Russians seeking to travel to the island. The inaugural Pegas Fly trip had brought the last group of Russians who required visas to enter the Jamaica. Under the new visa regime, the Government of Jamaica has waived visa requirements for Russian visitors travelling to Jamaica for periods of up to 90 days per year. 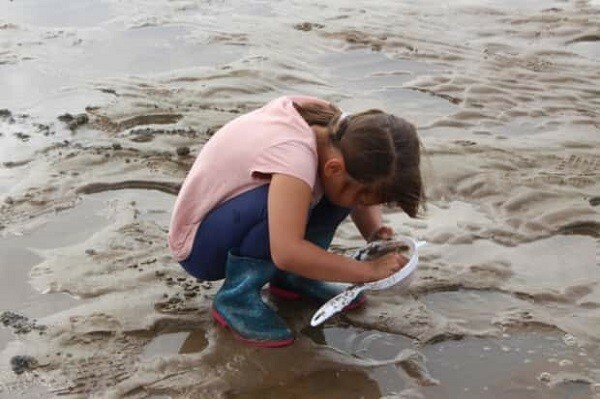 The Coastal Communities Fund has awarded £71,000 to The Lancashire Wildlife Trust to invest in a fresh project to encourage regeneration and nature tourism on the Fylde Coast, from Fleetwood to Lytham. Project manager and senior marine conservation officer, Emily Baxter said: “You will find a great diversity of wildlife across the coast and you want to inspire visitors to enjoy and protect it. Trail leaflets will be produced for adults to utilize for self-guided exploration or organised guided walks, and for school and families groups. It really is hoped a mobile interactive display may also be found in community centres to inspire people concerning the Fylde Coast. Highly anticipated cruise line, Virgin Voyages, by Sir. Richard Branson, will make Havana, Cuba its first port of call. 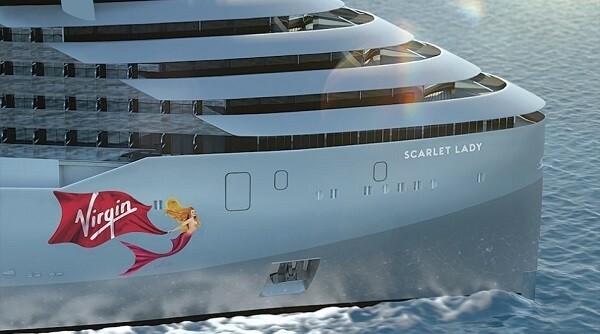 The cruise line will launch in 2020 and will depart from Port Miami with its first ship, The Scarlet Lady. “We’re giving sailors the opportunity to discover one of the world’s most desired destinations, Virgin Voyages style,” the company said. Select itineraries on Virgin Voyages in 2020 will include both daytime calls and overnight stays in Havana Harbor, the company said. Virgin Voyages, which will be an exclusively adults- only cruise line (or as Virgin calls it “adult by design,”) is looking to disrupt the Caribbean cruise industry with provocative design, unorthodox amenities like on-ship tattoo parlors and what seems to be a clear focus on millennial travelers (although not exclusively). Tourism Minister, Hon. 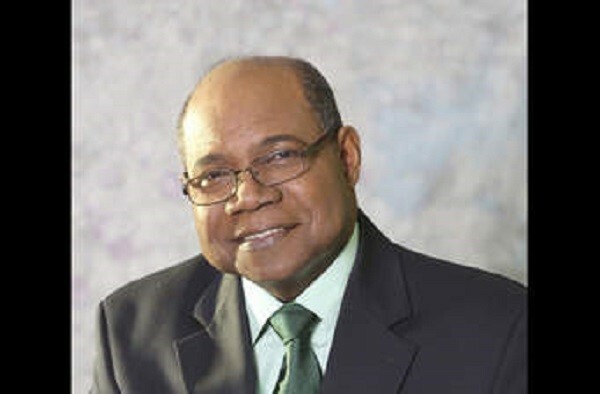 Edmund Bartlett departed the island yesterday to participate in the World Travel Market (WTM), in London. “The world travel market is one of the biggest programmes that the industry has on its calendar. 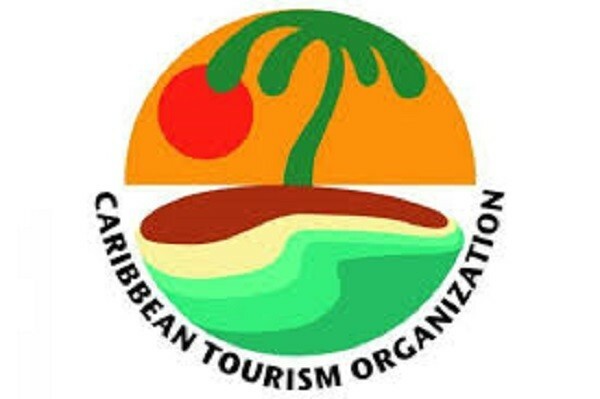 I am very proud to share that I will be joined by a very sizeable delegation from Jamaica next week to participate in the event, which enables contracts to be entered into between hoteliers and suppliers and airlines and destinations and so on,” said the Minister. The WTM is a major promotional platform for the Jamaica Tourist Board (JTB). It will also feature other Jamaican companies, creating the ideal opportunity to meet industry professionals and conduct business deals. Through its industry networks, the WTM also creates personal and business opportunities while also providing customers with quality contacts, content and communities. “While at the WTM, we will also engage in tourism diplomacy, which enables the real connectivity between countries that are involved in tourism and partners that are involved in this industry. 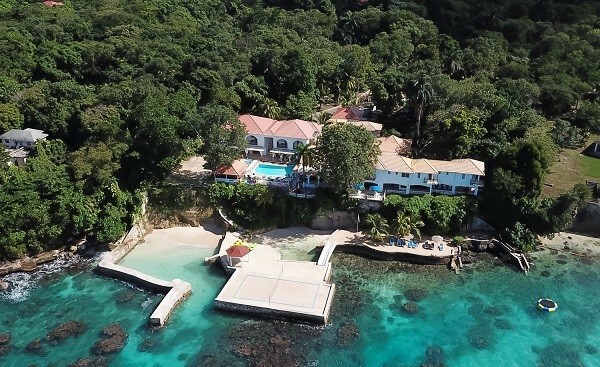 The resort town of Oracabessa in St. Mary, will be the venue for the first ever Radical Women's Leadership Retreat which is set for February 9 to 16 next year. 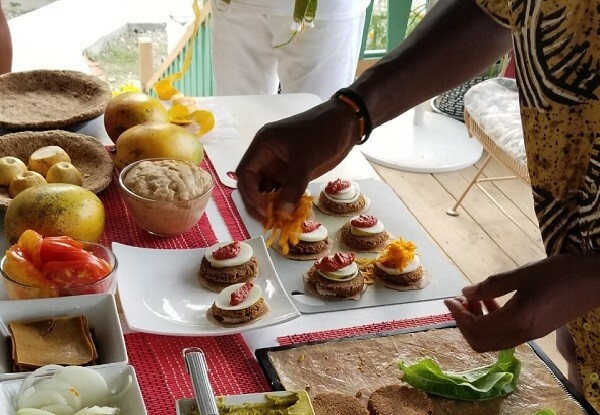 The weeklong event which will be staged at the Golden Clouds Villas, is the brainchild of wellness coach and behaviour change communicator, Madeline Kennedy of Kennedy Coaching. "This training will allow women to develop and begin a plan of action to achieve success and wellness as they define it, having fun while breaking the cycle of over-doing and dancing with burnout," Kennedy told Positive Tourism. 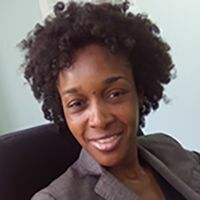 ATLANTA – Senator Kamina Johnson Smith, Jamaica’s Minister of Foreign Affairs and Foreign Trade announced the appointment of Dr. Elaine Grant-Bryan as Jamaica’s new Honorary Consul to Atlanta with effect from October 1, 2018. 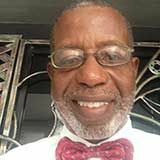 As Honorary Consul, Dr. Bryan will provide consular services to Jamaicans and persons wishing to visit Jamaica, and to promote the development of social, cultural and commercial relationships between Jamaica and Atlanta. Dr. Bryan succeeds Mrs. 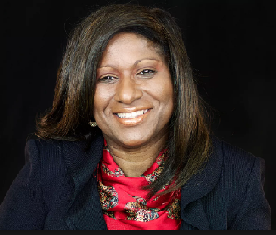 Jewel Scott, who resigned from the position in December 2017. Dr. Bryan is a former educator in the Atlanta School System and is now a real estate entrepreneur. She is also the founder and chair of The Elaine Bryan Foundation. The Pan African Federalist Movement (PAFM) Jamaica members are in high gear preparing for travel to Accra, Ghana for the 60th Anniversary Commemoration of the All-African People’s Conference and the PAFM Pre-Congress that is scheduled to take place in Accra, Ghana from Saturday December 8 to Thursday December 13, 2018. The Opening Ceremony of Accra 2018, themed: “Africa Must Unite - A Mission for Our Generation,” will be held on Saturday December 8 at the Bank of Ghana Auditorium, Economics Department, University of Ghana. This historic event is being organized by the Kwame Nkrumah Pan-African Centre (KNAC) and the Pan-African Federalist Movement (PAFM). Based in Accra Ghana, the KNAC is a research and policy institute with a mandate to promote Nkrumaist thought and to advance Pan-Africanism while PAFM is a global movement mobilizing and coordinating a new and concerted effort to realize the dream of African unity through grassroots action. 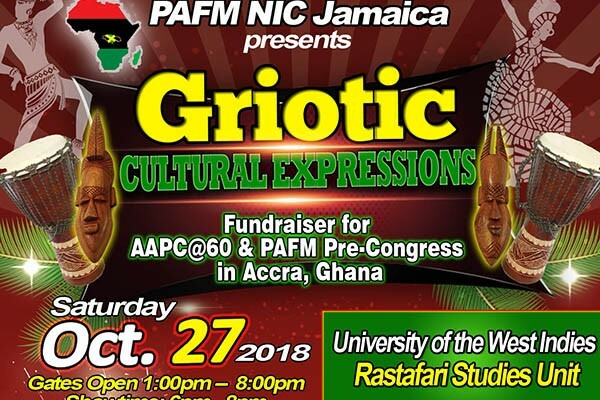 The PAFM Jamaica National Initiating Committee invites all who celebrate African unity to join us for a Griotic Cultural Expressions Fundraising Benefit on October 27, 2018 between 1:00 pm and 8:00 pm (Showtime 6:00 pm - 8:00 pm) at the Rastafari Study Centre, UWI Campus, 22 West Road, Kingston, Jamaica. 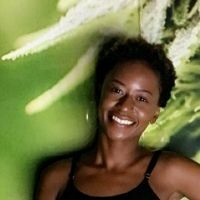 Donation: J$500. Headline acts will be: Informative Historyman, Karamanti, Bunny Hewitt, Mojiba Ase and other performers. The cultural event will present entertainers, drummers, dancers and Pan African speakers celebrating African Unity. Vendors are welcome and delicious meals and snacks will be available for sale. The All-African People’s Conference was first held in 1958 as a first attempt to bring Africans together on their own soil to deliberate on their total liberation and unity. It was an important occasion for the Pan-Africanist cause. The 60th anniversary commemoration of this historic event therefore marks the reignited fervour of Pan-Africanism and work towards the realization of the African unity dream. September, 2018, Rose Hall. Jamaica. The island of Jamaica is ranked 16 of the world’s sought-after vacation spots. It is a place that people come for wellness, healing and rejuvenation. The descriptives of sun, sand and sea are no longer enough to describe our destination. 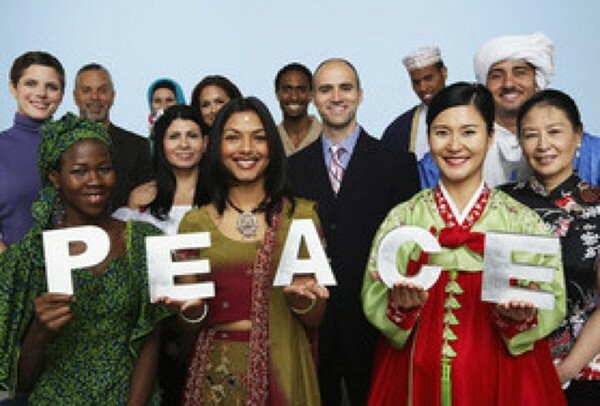 Travelers are seeking to engage with their host countries to learn about how people live and share their culture. Boomers are living longer and along with Millennials are leading the wellness revolution. They are seeking destinations with vibrant spa offerings, healthy foods and wellness programmes to transform their lives. In walks Dr Aris Latham and he pushes the proverbial envelope wide open. From his vantage point being well will never be looked at as a challenge, but as Fun. Latham is not going to accept mediocrity when the central life force on the planet is readily available, the SUN. International Coastal Cleanup Day is coordinated globally by the Ocean Conservancy (USA) and locally by JET. TEF has been a major sponsor of the island wide coastal cleanup initiative since 2008. It attracts millions of volunteers in more than 100 countries who clean up beaches and waterways to raise awareness about marine pollution. Last year, Jamaica had 9,675 volunteers at over 147 sites, which was the 12th largest ICC event in the world. This was also the largest ICC day turnout in the English-speaking Caribbean. 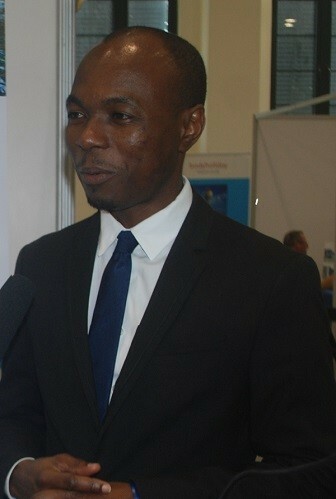 “As far as our participation in this event from a global perspective, we are doing extremely well. 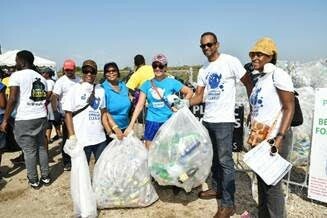 It is very encouraging and heart-warming to see that as Jamaicans, we not only spend the time and energy to clean up our coastlines but we also demonstrate to the world that we are environmentally responsible. Last year it was 93 miles of coast that was cleaned up by the programme, “said Dr. Wallace. The clean-up activities took place days before today’s announcement by the Government of Jamaica to implement a ban on single use plastic bags, plastic straws and Styrofoam effective January 1, 2019. JET CEO, Suzanne Stanley, welcomed this decision and shared that she is excited about the future outcome. “We are very excited about the announcement for single use plastic. We are looking forward to those strategies being implemented by the government, which on the legislative side, can address some of the problems. But we as Jamaicans also have a responsibility to dispose of our garbage properly,” said Stanley. She went on to share that, “It is very important that we raise awareness amongst our communities, about proper disposal of waste. Nuh Dutty Up Jamaica has been doing this for the past few years and we are really encouraged by the support that we’ve confirmed from the Government of Jamaica [TEF] and the private sector, via Wisynco Group, to continue with the programme for another 3 years.” The Ministry of Tourism’s clean-up activities took place at 15 beaches across the island by 487 volunteers from Destination Assurance Councils, Tourism Action Clubs, as well as members of staff. 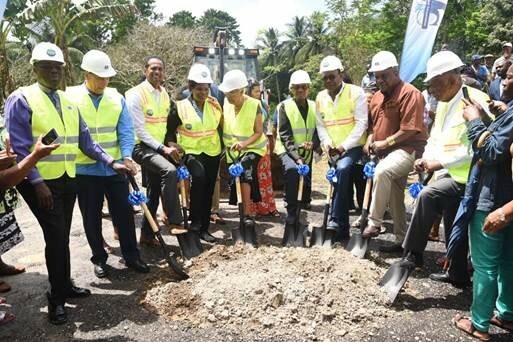 International Coastal Cleanup is a fraction of the Ministry of Tourism’s partnership with JET through the Tourism Enhancement Fund, to protect the environment. In 2014, the Ministry expanded its commitment with a Clean Coasts Project. To date, TEF has given $146 million, including $25 million in 2018 in funding. The project includes environmental education for adults and children along with practical strategies for tackling poor solid waste management and marine debris in Jamaica. 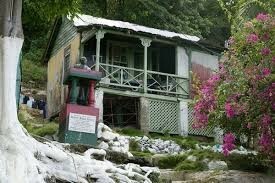 Portland, Jamaica, W.I. November 8, 2018. 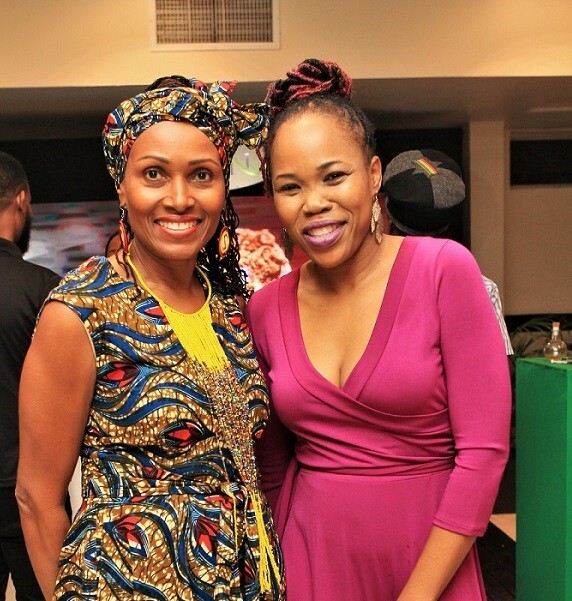 The second staging of Mama Africa Arise & Unite took place on Sunday, August 26, 2018 at the Di Atlantic Entertainment Center in Manchioneal Portland, where the focus was on community development, empowerment and unity. 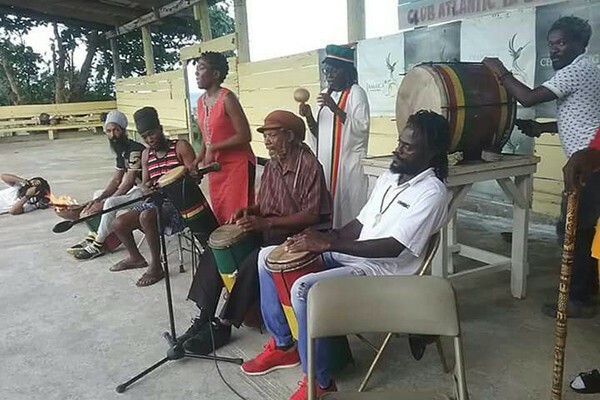 The music of Uprising Roots Band set the stage for the flow of positive vibrations during the event, which also celebrated the Earthday of Empress Ellisa Issachar. The following participants are gratefully acknowledged for their support: Di Atlantic Entertainment Center, Paul Thompson (Mayor of Portland), Theo Chambers (Founder, Access Jamaica Network), Paulette Simmonds (Stteppin Out Loud TV), Abrahamic Covenant Family Ministry, Lt. General Imhotep Ashanti (Coordinator, NIC Jamaica, Pan African Federalist Movement -PAFM), 5th House Kreationz, Forever Africa, Kromanti Group, Maurice Lee (Maroon - Moore Town), Gloria Simms (Mama G – Gaamand Chieftainess, Maroon - Charles Town), Hon. 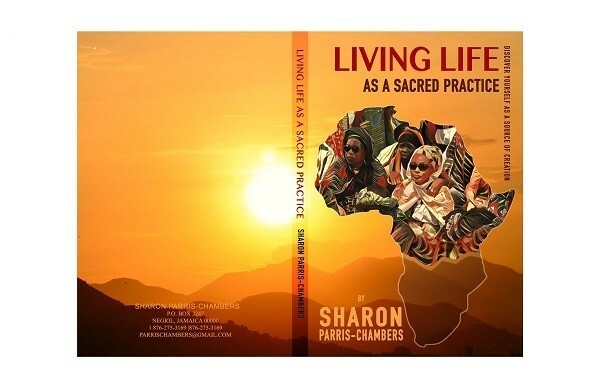 Bobo Jason Thompson (PAFM), Garth Barnett (Marcus Garvey People’s Political Party), Mama Fire, Constantine Bogle (Bogle Foundation), Ras Nik Graphics, and Sharon Parris-Chambers (Caribnewsroom & Living Life as a Sacred Practice). Mama Africa Arise & Unite Main Event, slated for October 28, 2018, is the culmination of the series of community development drives. It promises to be a memorable affair with select entertainers to thrill, speakers to motivate, workshops to capture the imagination and ignite within, a passion for self-reliance, community development and African unity. Tourism Minister, Hon. 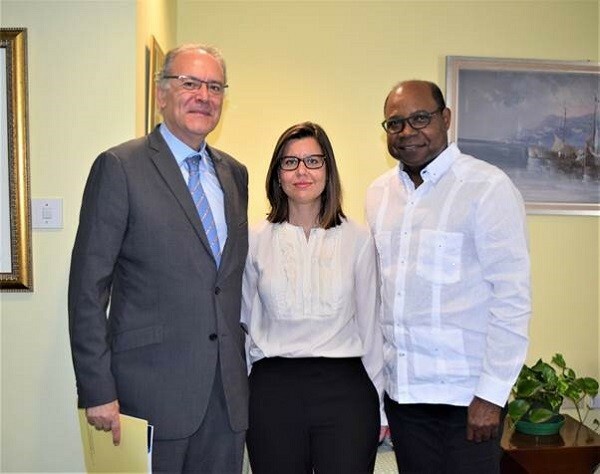 Edmund Bartlett (right) joins Spanish ambassador to Jamaica, His Excellency Josep Maria Bosch Bessa and his colleague, Deputy Head of Mission, Victoria García Ojeda for a photograph, during a courtesy call to the Minister’s New Kingston office on August 14, 2018. During the discussions, the Minister extended an invitation to the Spanish Ambassador and his team to attend the Tourism Resilience Summit, being hosted by Jamaica on September 13. 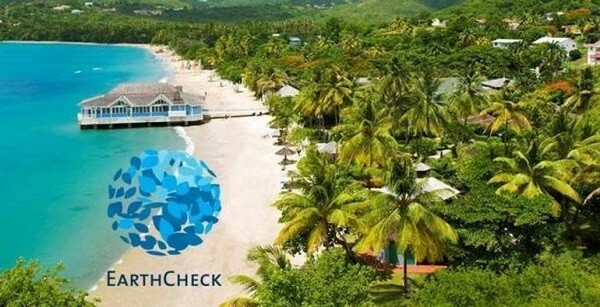 The event, which will take place at the University of the West Indies, Mona, will address events that disrupt tourism, such as climate change, epidemics and pandemics, terrorism and cybercrime. The Minister also used the opportunity to update the Ambassador on progress being made to establish the Global Tourism Resilience and Crisis Management Centre, which will have its official launch next January.